BUNAY SA has a legacy of long years of manufacturing traditions and experience. The production of plastic parts started in 1952 in one of the workshops of the local cooperative. 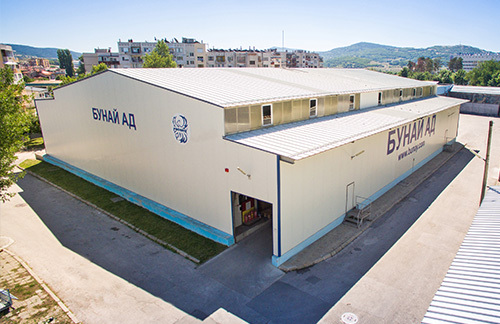 In 1966, BUNAY became an independent company. Since the beginning of its existence, the plant has been processing different types thermoplastic and thermoset materials. BUNAY SA manufacture products and components from thermoplastics, thermoset and rubber materials, as well as the necessary production tooling. On the premises, we have specialised areas for ultrasonic welding of plastic parts, application of top coatings, screen printing and product assembly. Our experienced team can organise the production and quality assurance of large, medium and small production projects. 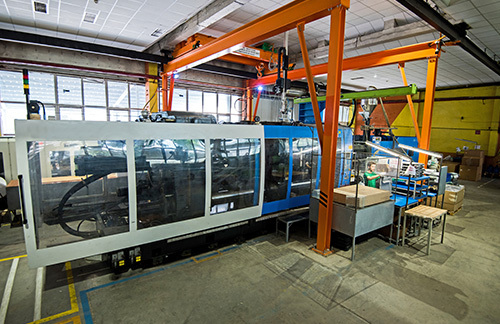 The production equipment at BUNAY ensures high technological capabilities. We have a Tooling Workshop equipped with all the necessary machinery for maintenance and repair of existing and manufacture of new injection and compression moulding tools. The quality of the production is controlled with the use of precision measurement equipment. The stability and sustainability of our business is guaranteed through the implementation of certified environmental and health and safety management systems. BUNAY is a dynamic system in constant development and growth. Evidence of that are our continuous efforts for renovation and upgrade, not only of the machinery and production equipment, but also of the buildings and facilities. Our commitment to customer satisfaction and our attention to detail are parts of a well working process which helps us project the future into the present where we are looking forward to meeting you!